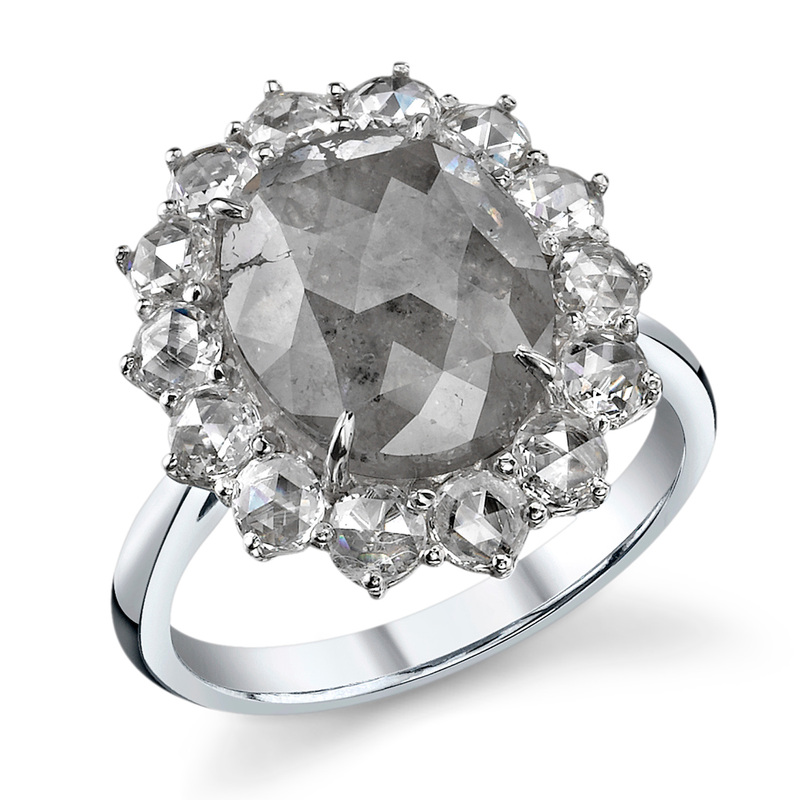 Platinum ring featuring a cushion-shaped rose-cut rustic grey diamond surrounded by sixteen clear round rose-cut diamonds. The ring is finished with a low-set gallery and triple wire band. Ring is currently a size 6 1/2 and can easily be sized by our workshop. First sizing is included in purchase price.